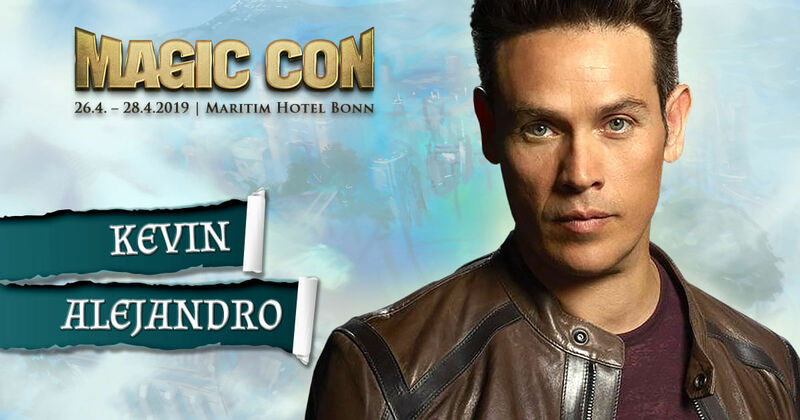 Lucifer fans can look forward to a really hellish MagicCon 3 weekend, because with Kevin Alejandro, Tom Ellis and Lesley-Ann Brandt, the third leading actor from the series of the same name will join the star guest line-up. The actor, born in San Antonio, Texas, plays Dan Espinoza, a detective in the LAPD Homicide Unit. On episode 26 (“Once Upon A Time”) in the third season he also sat on the director’s chair. Alejandro is certainly also known to friends of the fantastic genre for his roles in series such as the DC Comics adaptation for Arrow (Sebastian Blood), True Blood (Jesus Velasquez) or the series remake The Returned (Sheriff Tommy Moran). Furthermore, the filmography of the likeable actor includes many more roles and guest appearances. Among them are TV classics like Charmed, 24, CSI: NY or the hit movie Constantine with Keanu Reaves in the leading role, to name just a few. Kevin Alejandro will certainly have a lot of exciting stories to tell about his role in Lucifer at MagicCon. Tickets, autograph and photo vouchers are waiting for you in the Ticket-Shop.